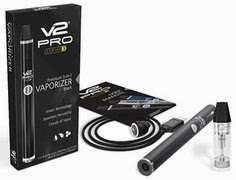 If you're an experienced vaper, and are looking for the best vaping experience you can get (massive vapor production, amazing throat hit, and the absolute best flavor production the whole day through), then a "variable voltage" e-cig is the answer. 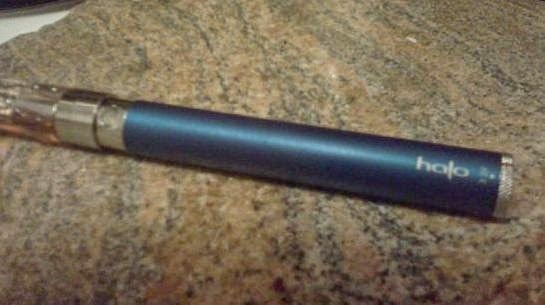 What Is A Variable Voltage E-Cig Battery? 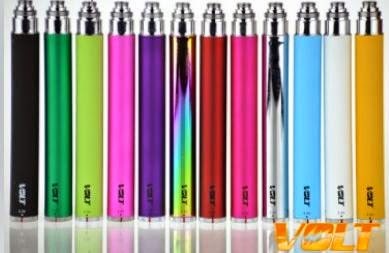 In short, variable voltage e-cigs (sometimes called Twist Batteries, Spin Batteries or VV) allow you to change the voltage of your e-cig in order to achieve the exact amount of vapor production, throat hit and flavor you desire. You see, most e-cig batteries are rated at 3.7 volts. And while that's all well and good, many times (and especially with certain e-liquids), you'll find yourself wanting a lot more power, precision and performance. If you've vaped for any amount of time, then you've probably noticed this already. And that's because different e-liquid flavors vape differently, even on the same device. Some flavors taste good and throw off a good amount of vapor at the standard 3.7 volt setting, but many others do not, making you wish you could really just crank it up a bit! And that's where variable voltage batteries come in. VV batteries allow you to change and adjust the volts, both up and down up and down (and on the fly), so you can get the absolute best out of your e-liquid and vaping experience at all times. 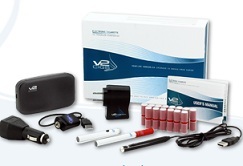 If you think you enjoy vaping now, just wait until you try it with a VV battery. Trst us, you'll be blown away! As referenced above, every e-liquid flavor has its very own special "sweet spot", and a variable voltage e-cig will allow you to hit that special sweet spot each and every single time. How? Simply adjust the device to find your perfect vaping setting. For example, if you want more flavor from your e-liquid, simply turn the dial to suit your liking. Want a warmer vape? Again, no problem. Simply adjust it as you see fit. It's that easy. No doubt, you'll be amazed by how much a variable voltage battery can improve your vaping experience. 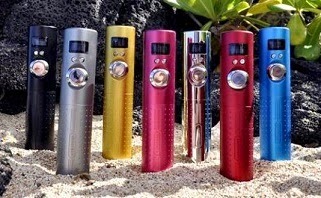 What's the Best Variable Voltage Ecig? Good question! We've been around for a long, long time now, so we know full well which companies put out quality products - and which ones do not! 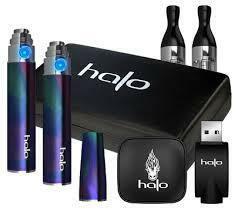 And so, we've only listed the best variable voltage e-cigs below. Our top review picks are based not only on performance and reliability, but also on product history, choosing only the companies that have a long, unblemished record of pleasing vapers. 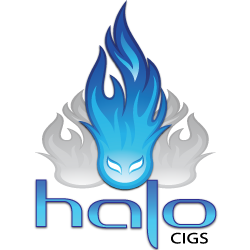 Known worldwide for their top-quality e-liquid and e-cigs devices (like the G6 and Triton), Halo Cigs are a hands down winner when it comes to VV batteries. 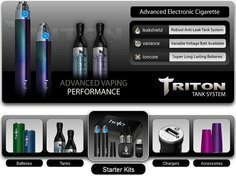 Their Triton variable voltage Twist battery comprises all the quality, performance and reliability that their regular Triton battery is so well-known for, and then kicks it up several notches. 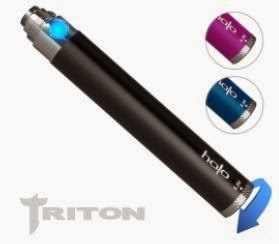 NOTE: Check out our full Halo Triton Twist Battery Review. We review it thoroughly, and cover all the bases. 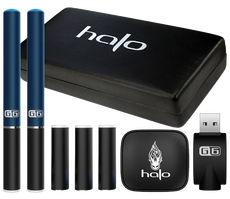 Halo's VV Triton twist battery offers the ultimate vaping performance, allowing you to easily adjust your vaping voltage (on the fly) with a simple turn of the dial. The adjustable voltage range is from 3.3 volts, and all the way up to 4.8 volts. 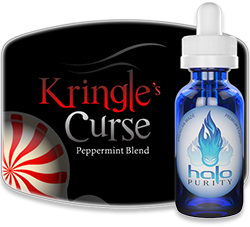 This will give you the absolute best flavor, throat hit and vapor production. In other words, so you'll hit that "sweet spot" just the way you like it - every single time. Build quality it top-notch (as is expected of Halo). And with a battery charge of 900 mAh (1,000 puffs per charge), you'll have all the power and long-lasting battery life you'll need - and more. Curious? Get all the details and options here! With a bright LCD screen, a lightweight body, and 10 optional colors to choose from, the Lavatube is the best of the best, especially with its extremely powerful 1600 mAh battery. Curious? Get all the information about it here. Number three on our list of the best VV batteries is the Smokeless Image VOLT Spinner. Offered in both manual and automatic options (note the the autos are just a bit larger), the Smokeless Image Volt Spinner battery allows you to adjust your vaping voltage output from 3.3 volts to 4.8 volts via the knurled dial (just like the Triton Twist does). And while we certainly prefer Halo (for several reasons), Smokeless Image does, however, offer more color options with their VV Spinner battery. NOTE: Check out our full VOLT Spinner Review. We reviewed it fully. The Volt Spinner is also available in fifteen (15) different colors. So for those of you who like a wide variety of colors to choose from, here you go. Curious? Check out the Smokeless Image Volt Spinner. NOTE: This page is not complete. Updates to come very soon!